"Medicalisation is one of the biggest threats against the programme to eliminate FGM," the experts said. 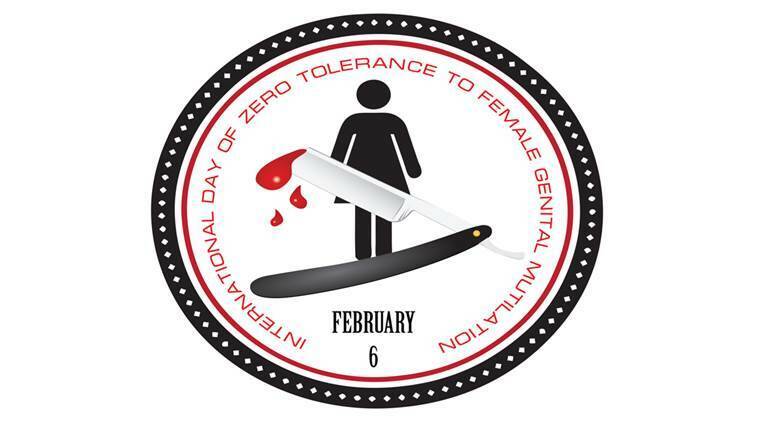 International day of zero tolerance to female genital mutilation is observed on 6 February. A growing trend for midwives and nurses to carry out female genital mutilation (FGM) is undermining global efforts to eradicate the internationally condemned practice, experts have warned. Morissanda Kouyate head of the Inter-African Committee on Traditional Practices called for courts to get tough on health workers convicted of carrying out FGM. He also urged professional medical and health associations to expel members who repeatedly perform FGM. “Medicalisation is one of the biggest threats against the programme to eliminate FGM,” Kouyate told the Thomson Reuters Foundation by phone from Rome ahead of international FGM awareness day on Monday. He called for countries to revise their laws on FGM to make clear that health professionals convicted of offences should face the maximum sentences allowed under the legislation. An estimated 200 million girls and women worldwide have undergone FGM, which usually involves the partial or total removal of the female genitalia and can cause a host of serious health problems. Speaking at a global conference on FGM in Rome last week, Kouyate said medicalisation was an unfortunate result of early efforts to tackle FGM, which had focussed on the health risks. The ancient ritual – practised in at least 27 African countries and parts of Asia and the Middle East – is usually carried out by traditional cutters, often using unsterilised blades or knives. In some cases, girls can bleed to death or die from infections. Later on, FGM can cause fatal childbirth complications. Kouyate said growing awareness of the risks had lead parents to take their daughters to clinics. The trend had been encouraged by “the open arms approach” of many health workers who saw FGM as a source of income. Medicalisation is widespread in Egypt, Sudan, Guinea, Kenya, Nigeria and Yemen, according to U.N. data. In Egypt and Sudan, FGM is also carried out by doctors, Kouyate said. Campaigners and officials at the conference repeatedly voiced concerns over medicalisation which they said served to legitimise the practice. Kouyate, a doctor from Guinea where FGM is almost universal, described FGM as “the greatest violation of a woman’s rights”. “The time has come to call a spade a spade – it is mutilation,” he told the conference. She said she was pushing for a law that would make it a crime to fail to report FGM. Many judges were scared of handling FGM cases, Diallo said, following a trial in 2004 in which a judge was attacked and left paralysed. Campaigners said families often circumvented laws by crossing borders to have their girls cut. Parents were also carrying out the ritual in secret late at night and increasingly getting their daughters cut as babies or toddlers to minimise the risk of detection. The head of Kenya’s FGM prosecution unit, Christine Nanjala, said they had handled 76 cases since 2014. But she said there were ethical dilemmas, particularly where adult women had asked to undergo FGM. “Do you treat them as victims or criminals?” she asked.